The attitude construct is widely used by teachers and researchers in mathematics education. Often, however, teachers’ diagnosis of ‘negative attitude’ is a causal attribution of students’ failure, perceived as global and uncontrollable, rather than an accurate interpretation of students’ behaviour, capable of steering future action. In order to make this diagnosis useful for dealing with students’ difficulties in mathematics, it is necessary to clarify the construct attitude from a theoretical viewpoint, while keeping in touch with the practice that motivates its use. With this aim, we investigated how students tell their own relationship with mathematics, proposing the essay “Me and maths” to more than 1,600 students (1st to 13th grade). A multidimensional characterisation of a student’s attitude towards mathematics emerges from this study. This characterisation and the study of the evolution of attitude have many important consequences for teachers’ practice and education. 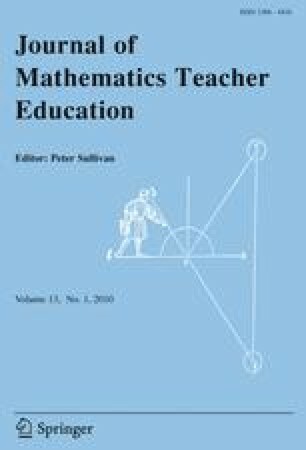 For example, the study shows how the relationship with mathematics is rarely told as stable, even by older students: this result suggests that it is never too late to change students’ attitude towards mathematics. This article is an extended written version of the regular lecture given by Rosetta Zan at ICME 11 (Monterrey, Mexico, July 6–13 2008).